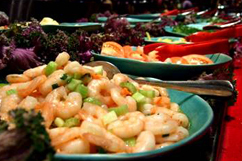 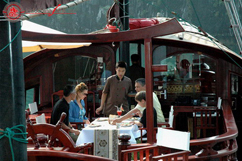 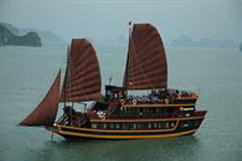 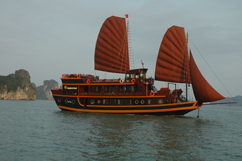 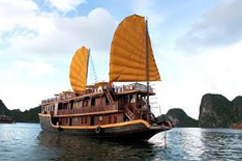 The Dragon’s Pearl are modelled on the traditional Chinese junks that used to sail these waters. 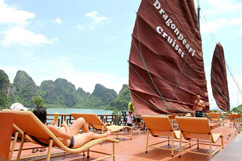 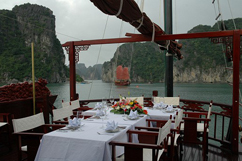 Whether you are dinning in the restaurant, lounging on one of the two sundecks or relaxing in the comfort of your cabin, you will be surrounded by the handcrafted teak and oak that makes the Dragon’s Pearl wonderful sailing vessels. 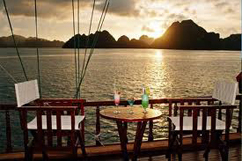 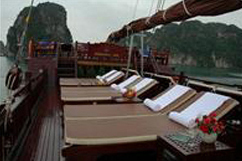 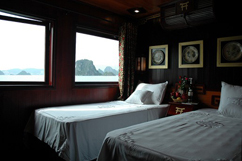 As you enter the Dragon's Pearl you come to the reception counter on the first deck, which have a total of 11fully equipped cabins. 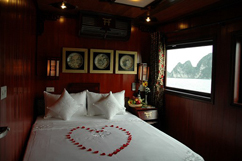 Each 11m2, air-conditioned cabin boasts its own bathroom with hot water shower, a closet and night table. 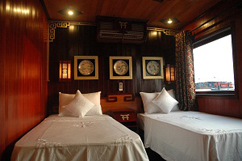 Each cabin you enjoy the elegant design of the fine woodwork that is evident throughout.